Owning the high street: positioning JD Women as a leading athleisure brand utilising target publications and social influencers. AboutWe offer a multi-channel approach with experienced experts able to deliver real value. AwardsWe are proud to have achieved recognition with a number of both Traditional and Integrated PR awards. The Influence FormulaDo you know how influential your brand or business is? B2B PRHelping businesses with B2B communication strategies across all channels. Consumer PRExpect more from your PR strategy, especially if you want to stand out. We promise a creative, results driven approach. Crisis and Reputation ManagementWe deploy a suite of services to manage and prevent crises. Healthcare PROur team has proven credentials in establishing some of the UK’s most trusted consumer healthcare products and services. Influencer PRWe are experienced in working with influencers from multiple industries. Online Reputation ManagementManaging your online reputation has never been so important. Speak to our experts today. Personal PREntrepreneurs who have built businesses through hard work, determination, flair and drive come to us if they want the world to know about their achievements. Sport & Fitness PRWinners of the ‘Best Use of PR’ award at the BT Sport Industry Awards, our Sport and Fitness team has an outstanding track record of running campaigns that deliver. Technology PRYou need a PR strategy that inspires revolution. You need to be the trendsetter, the expert. We know what it takes to stand out. Third Sector PRWe help organisations raise funds, attract beneficiaries and produce hard hitting campaigns that drive awareness. Media TrainingWhether you are trying to raise your profile within the media, or find yourself caught up unwittingly in a crisis situation, knowing how to deal with journalists and communicate effectively is vital. InsightsAn invaluable source for inspiration and learning about PR, storytelling and brand communications across all sectors. ebook downloadOur guides have been created to offer expert advice, providing you with the understanding you need and the ability to put it into practice. CareersAre you looking for your next career move in PR? Find out more about PHA and browse through our latest job opportunities. Digital StudioWe provide complete digital solutions. We plan, we design, we create and importantly, we measure. Public Affairs PRWhether you have a commercial interest to promote, or you are an individual with political ambitions, we will design and deliver a tailor-made campaign for you. 30 years ago Microsoft released its first retail version of the Windows operating system, forever changing the computing world and setting up their path to become one of the biggest tech companies in the world. Along the way Microsoft have made some choices that have contributed to their success and they show the potential an idea can have, if it is innovative and creative. There are a number of fundamental things that any tech company can learn from Microsoft – here we give our top tips. Innovation and regular improvements is the key for long-term success. There are several moments that have been key to Microsoft’s success, firstly being the release Windows’ operating system, which is still the most used globally. Microsoft Office has also been a monumental success, which the competition – even Apple’s iWork – has not been able to live up to. The success can be attributed to being the first of their kind to be released and their subsequent position as the default operating platform for PC users. This is something that is expected from any tech brand. If you can develop an idea that has not been on the market before and constantly evolve to meet the new technological advances, you will have the key to longevity. Find a niche and become an expert. Another successful venture for Microsoft has been Xbox, which at its launch was a direct competitor to the already established gaming consoles from Sony (PlayStation) and Nintendo (GameCube). 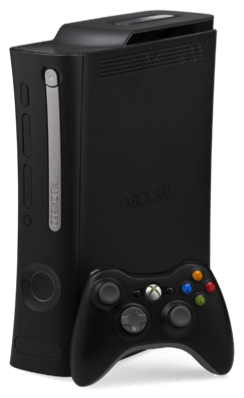 Key to the success of the Xbox was Microsoft’s understanding of the industry they were entering and a product that was well developed and designed. You have to understand your consumers’ requirements – if you can anticipate what they want you will have the ability to disrupt the market and push past the existing market leaders. It doesn’t have to be a brand new idea but it just has to be thought out and expertly developed. Set the trends, don’t follow them. Technology is an ever-changing world of technology, requiring new and innovative products, services, and more frequent upgrades than ever before. With that in mind you have to be able to keep up and not just leap on opportunities that have given your competition success. This does not guarantee a favourable result and is something that has proved to be a bit of a challenge for Microsoft, arguably reacting sluggishly to the smart devices game, where it has played catch-up to its new competition, such as Apple’s iPhone and Samsung’s android devices. Find a gap in the market and exploit it. Microsoft has recently unveiled the rival to Apple’s Siri and Google Now. Cortana: ‘a clever new personal assistant’. So far Cortana is not quite ready to over take its competitors but the potential is there, as Cortana addresses some of the issues faced by smart phone assistants that haven’t been addressed before, such as the ability to continually answer contextual questions. Being able to figure out what others have not and combine the best of existing technologies can lead to you being the top choice for the consumer. Speak to a member of our award-winning team today. Not sure what service you need? Get in touch and we’ll get back to you shortly.